Charters face scrutiny at Capitol. Tell lawmakers we need a TIMEOUT for charter school expansion! Yes, charter schools have significant impacts on those of you teaching in public schools, and those negative impacts are growing with rampant expansion of charter chains across the state. Charters schools drain our public schools of resources (often millions of dollars lost), cost the state billions of dollars, are ripe for corruption and profiteering, and lack the transparency the public deserves for their tax dollars. Yesterday at the Capitol, the House Public Education Committee heard some 20 bills seeking more accountability, transparency and overall regulation of charter schools–including a bill that would require a real assessment of financial and logistical impacts to school districts when charters plan to open nearby. Texas AFT was their strongly urging passage of these bills, as well as calling for a Timeout for Charters until significant reform is enacted. See TxED in the Media’s look at recent corruption in a Houston charter and across the country. Send a letter to your legislators asking for a Timeout for Charter Schools! So proposed bills are looking at an audit of the STAAR test, including HB 4242 by Rep. Diego Bernal, which would require an independent evaluation of the test’s readability to evaluate if it is at the intended grade level. 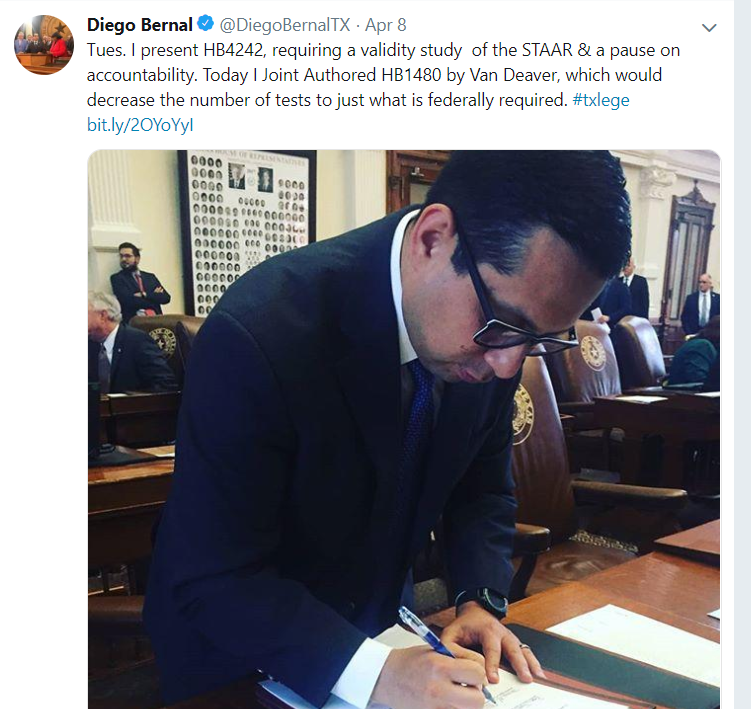 Bernal wants to put the misuse of the test on pause if it is found to be invalid. Sen. Jose Menendez also has a bill, SB 2400, calling for a moratorium on the test. Member Benefits: Take off money when you take off on the road! 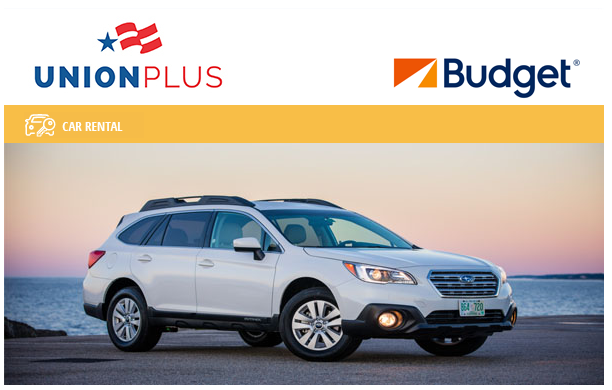 Save up to 25% off Budget base rates when renting a vehicle from a participating location in the contiguous U.S. and Canada. Book your car now! 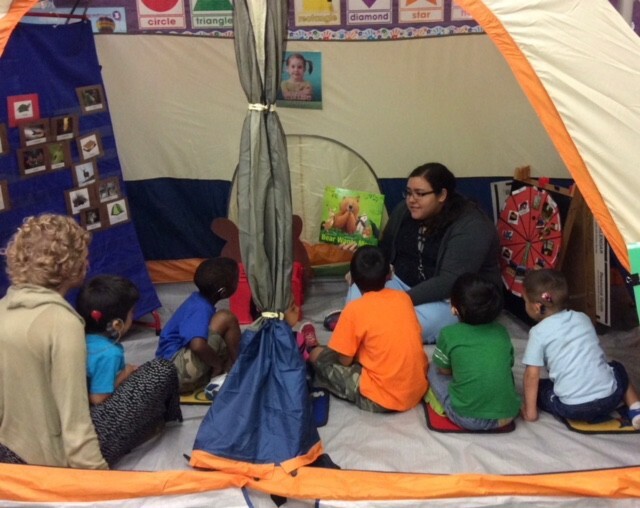 Karen Reyes, a proud AFT member, is finishing her fifth year teaching children who are deaf and hard of hearing in Austin, Texas. She’s helping her students on their journey to be able to communicate and achieve their dreams. Not only is she a wonderful teacher, a union activist and a part of her local’s (Education Austin) executive board, she also is a Deferred Action for Childhood Arrivals recipient. Karen is one of the more than 750,000 immigrant young people with DACA status who are contributing and strengthening their communities. She was brought to the United States as a child and has done everything our society has asked of her: She graduated from college, passed a rigorous background check and met the educational requirements to obtain DACA. Despite it all, Karen still lives in fear. It doesn’t have to be like this. Write Congress and tell your rep and senator to end the fears of millions of immigrants by passing the Dream and Promise Act of 2019 (H.R. 6), the SECURE Act (S. 879), and the DREAM Act (S. 874). Get involved to make positive change. Our local unions are active in local school board races, and they need your help to elect candidates who will work for our students and school employees. Contact your local union to see how you can help! Cy-Fair AFT has initiated a campaign–“GiveMe5: For our students and those that serve them”–to urge the School Board to give non-probationary teachers a five-year contract, to provide stability and encourage teachers to come to the district. “We at the union are going to do a big ask for school board trustees, to vote in favor of job stability in the package of a five-year teacher’s contract,” she said. “When you talk about funding, this is something that would cost the district $0 that would be huge to our teachers.” Read more in the Houston Chronicle. El Paso AFT wasn’t happy to find out that a School Board member had lied about being a teacher during their interview with her when she was a candidate. Now, the union has exposed that she told more than one lie. Alliance AFT (our Dallas ISD local) is hosting a screening of the movie, “Backpack Full of Cash,” narrated by actor Matt Damon, which takes the viewers through a journey of exposing the world of corporate-driven education “reform” and charter schools. There will be a brief forum of Alliance-endorsed school board candidates to discuss the impact that charters have had in their individual districts and thoughts on the topic. There is no cost for the event. Corpus Christi AFT was successful in halting a plan to send all district bilingual students to five “host” campuses. The union and its community allies spoke out against the movethat would segregate students, force them out of their neighborhood campuses and cause hardships for their families. The Houston Federation of Teachers held a press conference this week with community allies to oppose any efforts by the Texas Education Agency to takeover Houston ISD. TEA has threatened to replace the Houston School Board with a state-appointed board of managers. Read more here from Houston Public Media.